Op-ed | How will the Earth-observation market evolve with the rise of AI? This op-ed originally appeared in the Jan. 29, 2018 issue of SpaceNews magazine. For the Earth-observation industry, 2017 was an eventful year. Several trends emerged that could transform the market landscape as profoundly as the proliferation of smallsats already have. 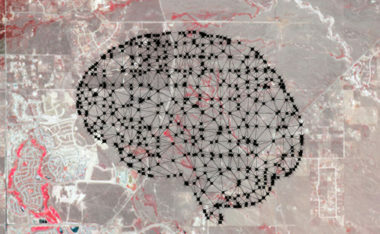 We witnessed significant investments in Earth-observation startups leveraging machine learning and other forms of artificial intelligence, or AI, to extract invaluable insights from the growing abundance of satellite imagery. We also saw the continued transition of Earth-observation satellite operators from merely selling imagery to selling value-added services. Last year, startups building AI-driven services on top of satellite imagery collected by others raised significant venture capital. Orbital Insight raised $50 million in a Series C round that included such top-tier funds as Sequoia Capital and Google Venture. Descartes Labs raised a $30 million Series B round. Ursa Space Systems raised a $7 million Series A round. Spaceknow raised a $4 million Series A round. All told, AI-driven Earth-observation startups raised $96 million in 2017 — nearly three times more than in 2016. We also saw the operators of commercial Earth-observation satellites continue their pivot from the business of collecting imagery anytime anywhere to wringing it for actionable intelligence. Planet, to cite a prominent example, has thrown its hat firmly into the data analytics ring after accomplishing Mission 1, they’re long-stated goal of imaging the entire Earth’s landmass on a daily basis. Meanwhile, BlackSky — the Seattle-based company building a constellation of 60 fast-revisit, high-resolution Earth-observation satellites in partnership with Telespazio and Thales Alenia Space ­— is gaining traction with its imagery-analytics platform, winning a $16.4 million U.S. Air Force contract. Satellite imagery providers and service providers alike are recognizing that the real value is in delivering AI-driven data analytics. How will this shape the market? One early challenge will be the competition for the limited pool of customers large and sophisticated enough to use Earth-observation data analytics in their day-to-day operations. Think of Fortune 500-sized companies involved in agriculture, mining, construction, oil and gas, and retail. These geography-minded companies have the greatest potential to provide analytics firms with stable, recurrent revenue streams. At the moment, however, AI-powered Earth-observation companies derive much of their revenue from financial and humanitarian organizations. Such customers are far from ideal due to the long sales cycles involved, yet-to-be-calculated returns on investment and budget uncertainty. We know that selling, say, a hedge fund an additional Bloomberg Terminal or two at $24,000 a pop can be a long, expensive sales process. What about selling satellite imagery, where the return on investment is not as well understood? To overcome such obstacles, AI-driven startups are a hiring software-focused product management people. What other factors could influence the competition for new customers? The first is the launch of new imaging constellations by startups and government-backed space agencies alike. Planet currently has a rather one-of-a-kind dataset thanks to its ever-growing smallsat constellation. But what happens when DigitalGlobe or some startup deploys new constellations? Or the European Space Agency launches another Sentinel satellite for the European Commission’s Copernicus system? That data set is no longer the key selling point. Another part of the equation are drone companies. The drone industry is growing rapidly, fueled by significant VC funding, comparable with the amount of venture capital invested in Earth-observation startups. And interestingly, most of the successful drone companies are focusing on the types of construction, mining, and oil-and-gas customers that AI-driven satellite companies are eager to capture. At the moment, drone companies are ahead of space-based Earth-observation ventures in reaching target industries with remote-sensing use cases promising attractive returns. What drone ventures lack is the ability to collect imagery on a really large scale. This is where satellite operators hold an advantage. Don’t be surprised when partnerships emerge offering customers the best of both worlds. Of course, there are revenue opportunities for satellite Earth-observation companies that don’t involve chasing down large industry customers one at a time. For example, established ventures can build computer applications for fast and easy access to satellite imagery and data analytics, or create a platform for charging third-party software developers for API calls. This is how mapping companies like Mapbox or Google Maps are monetizing their services. It’s also the approach DigitalGlobe has chosen with their GBDX platform which, incidentally, counts Orbital Insight among its customers. Ultimately, however, the API approach is a long game and thus not a great fit for startups backed by venture capital looking for exponential growth. 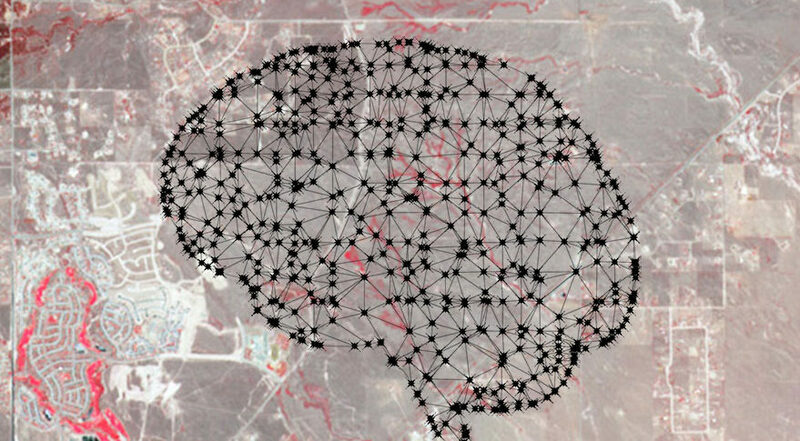 Looking ahead, we should expect to see the Earth-observation market increasingly driven by AI-enabled data analytics and not the data itself. This market shift will pit software-only startups against satellite operators transforming into full-stack companies. We’re already seeing this transformation play out through mergers and acquisitions, such as BlackSky’s 2016 acquisition of OpenWhere and DigitalGlobe’s acquisition that same year of Radiant and Timbr.io (DigitalGlobe, notably, was absorbed last year into Maxar Technologies, a company combining Earth observation, analytics and satellite manufacturing under one roof, so to speak). We could also see space-based remote-sensing companies partner with drone companies to deliver end-to-end services to large industry customers. Competition between satellite and drone companies should intensify as satellite companies put more and more sensors on orbit. That competition could very well lead to the emergence of a remote-sensing company with both satellite and drone capabilities — and, of course, a strong AI-driven data analytics offering. 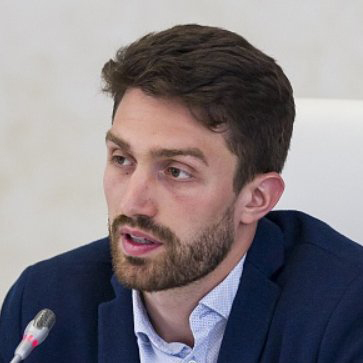 Valery Komissarov is a portfolio manager at Skolkovo Foundation where he supports aerospace startups with business development and fundraising. He previously worked in strategy and engineering for Sputnix, a Moscow startup that launched Russia’s first private remote-sensing satellite in 2014.